Beginning of 2019, M2P Consulting and Certification & Quality Consulting (CQC) formed a consulting partnership in order to collaborate on projects in the aerospace & defense industry. 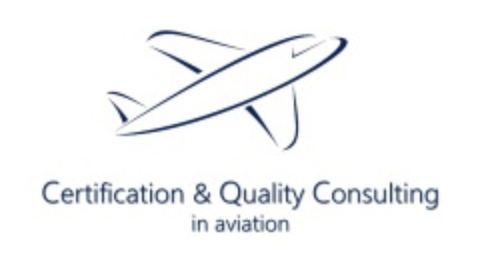 Combining M2P’s 20 years of industry and consulting experience within the aviation industry and CQC’s deep knowledge of aviation certification and approvals, quality management and change management, we commit to end-to-end services to define, build, integrate, implement and operate technology solutions. CQC’s experts have many years of operational experience in the national and international aerospace and defense sector. They are specialized in supporting design-, production-, maintenance- and training organizations in all areas of civil and military aviation. CQC has worked with numerous industrial clients, as well as institutional and public clients. Their services and knowledge cover the entire life cycle of aviation products – civilian as well as military. Offering both, standardized and tailor-made solutions, to its customers and working with an international network of experts, enables CQC to deliver dedicated projects outcomes. M2P Consulting generates nearly 85% of its revenue within the airline industry and has gained global recognition for shaping airline business and operational processes. Our consultants have delivered aviation projects working closely with the client and getting deep insights into operational functions and organizational structures within the airline industry. Forming a consulting partnership between M2P and CQC will enable the delivery of optimal results by using comprehensive knowledge transfer and a highly cooperative approach. Together, M2P and CQC will provide solutions in high-impact and trending sectors of the aerospace & defense industry. Covering the entire customer journey and end-to-end life-cycle within the aerospace & defense industry, projects will cover touchpoints in sales & distribution, passenger services, operations, MRO logistics, network planning, support and quality & certification. M2P is grateful to have found a cooperation partner such as CQC and looks forward to a prosperous collaboration on projects and knowledge building.